The roll. 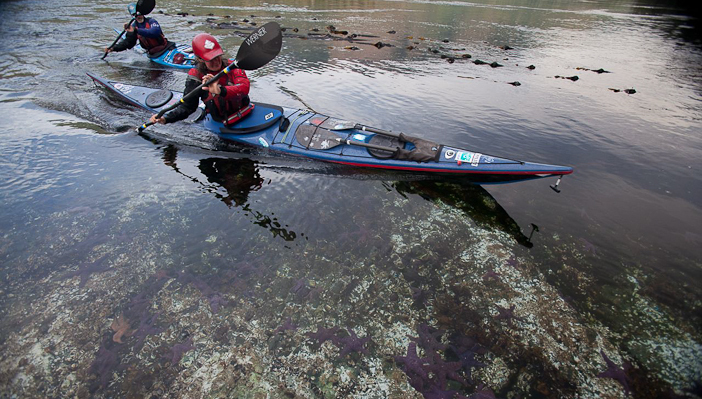 It’s the most sought-after skill in the sport of kayaking. For some people, one session and they’re rolling. Others struggle with the Holy Grail perpetually. Through my years as an instructor, it was without question the one skill that people used to measure themselves within the sport. Students would often gloss over blade control and body technique, instead choosing to dunk themselves endlessly, trying to force the roll into their quiver of skills. The head game would take over and the desire to own the skill would actually become the biggest barrier to achieving it. Chill out. Rolling comes from a relaxed physical and mental state. If you are tense, stressed and not confident, you will consistently strike out. If you’re learning the skill, you need to let it come organically rather than force it. Just like edging, blade control and other fundamental skills, it takes repetition before the skill becomes consistent. Head for rougher waters. The whitewater environment helps accelerate the learning curve because it consistently puts you in a low-oxygen environment. When you’re constantly flipping, you are way more motivated to master the roll. So if you are a sea kayaker, consider getting out on some class II whitewater. It will drastically improve a number of skills, including the roll. Diversify. Variety in repetition is critical in gaining a roll that works in more than just a pool or warm water. If the only place you practice rolling is a comfortable environment, that is the only place you should expect the roll to work for you. The second you add rough water, surf or current, your roll fails because to your mind and body, this is a new application. Get ambidextrous. Learn and practice rolling on both sides. This not only helps your comfort level under the water, but being able to roll on both sides becomes essential in dynamic environments. A great way to work on orientation under water is to actually fail on one side intentionally and then switch sides under water. Get a hand. Have someone to randomly flip your boat over from the back. Most people practice rolls by flipping over in the set up position. This will never be how you flip in the real world. Again, try to make your practice rolls simulate the way it will actually happen out on the water. Make it a habit. Practice rolls every time you get on and off the water. Roll as much as you can tolerate. If you roll as much as you edge and play with maneuvering strokes, the skill will come off the pedestal and you will never look back. The roll is the ultimate get-out-of-jail card. In most other sports,if you crash, you have to pick up the pieces and start over. 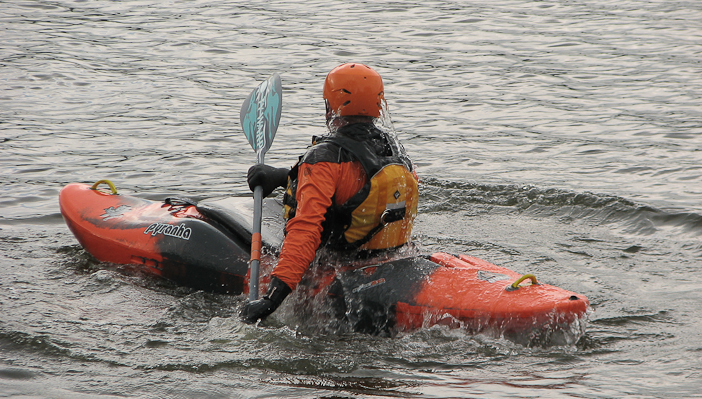 In kayaking if you have a bombproof roll, recovering from a flip could juts be a matter of seconds. Every motivated kayaker can learn this skill. The challenge becomes training your mind and body so that they never question your ability when you need it most.